A restaurant management system is designed with capabilities and features to help operate and manage your restaurant and bar. A POS system or POS software is the heart or your bar or restaurant management system and includes many features and functions that make running a business more efficiently and ultimately more profitable. If you’re not familiar with what a POS is, here’s our definitive guide. There are so many features and benefits to consider when choosing the best restaurant management system (see our top 10 list below) like simple order taking, inventory control, quality reporting, table management, employee timekeeping, customer management, open API for 3rd party integrations, marketing initiatives, and much more. So you want to pick wisely when choosing the best option for your restaurant. Running a successful hospitality business is already challenging enough, so you want to be unwavering in your research when it comes to selecting an appropriate system for your establishment. What you don’t want to happen is to purchase something, then realize it doesn’t have everything you need. 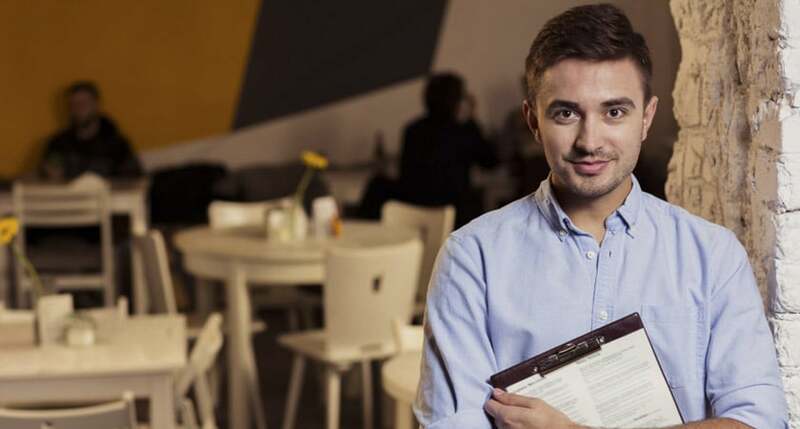 The profession of managing a restaurant is known as “Restaurant Management.” A Restaurant Manager can have many duties including but not limited to ownership duties, administration, front-of-the-house (FOTH) mgmt, and back-of-the-house (BOTH) mgmt. The manager will typically be the person responsible for choosing the essential POS features needed to run the restaurant correctly, and the same holds true when it comes to learning the operations and taking charge of the POS system. Also, a large part of a manager’s job is to manage their employees time and their tips. Your employer absolutely must have policies in place for proper tip and time management. If an employee comes to you believing that they’ve experienced a wage violation, it is critical to take them seriously. There are so many challenges every restaurant faces, so you can see how an appropriate restaurant management software can ultimately determine your success or failure as a business. As the owner or manager, you want to make sure you have every tool you need to operate at the highest level and to avoid any pitfalls. So this information and guide are for restaurant owners and restaurant managers to help identify some of the critical features to look for and to help you make a smart buying decision when purchasing hospitality business software and hardware. 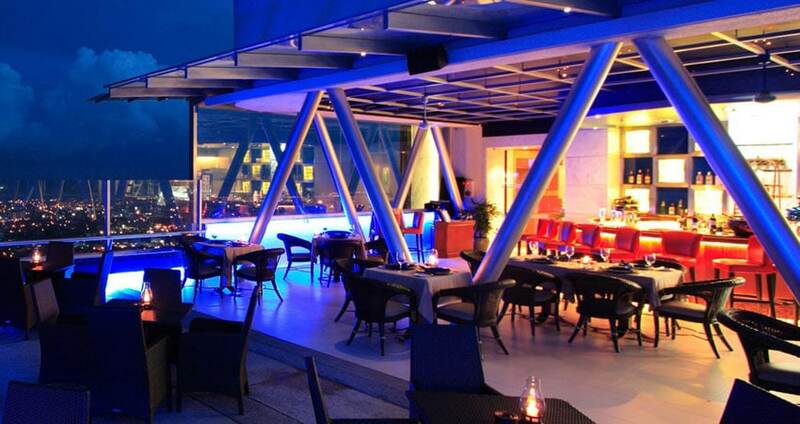 Restaurants handle a high amount of credit card and cash transactions. So your restaurant management software should make your life easier as the owner or restaurant manager by tracking all business sales data down to the last cent. With this sales data, you can keep tabs on your all your items sold, which gives you the power to make smart decisions for your business. For example, it allows you to adjust your menu accordingly to best or worst items sold, know your busiest selling times, and determine who your best servers are. Most importantly, you get the sales data you need to determine your profit. Additionally, you need to keep reliable records for taxes, especially for your local or state business and alcohol tax laws. For instance in Texas, in addition to sales tax, there is a mixed beverage sales tax, and that needs to be reported accordingly. So you need to consult with your accountant and know your local tax tables and make sure your system has the reporting features you need. Most real POS systems have robust sales and tax reporting data. Any good provider will be able to explain the sales reporting features built into the system and describe your available options for accounting integrations like Quickbooks. The menu on a restaurant management system should be easy to configure and setup. Sounds like a no-brainer, but it’s an essential consideration. There are so many systems on the market that can make your life very difficult when all you want to do is make simple menu updates or pricing changes. Especially with the big brand name POS companies where you may be required to contact support to make a menu change or be a programming genius to figure it out yourself. Sometimes the terminals or the server has to be rebooted to make a minor menu change. You don’t need that headache. Before you decide on your software, ask your POS provider to show you how easy it is to make adjustments to the menu programming. If it takes more than 2 minutes to adjust a menu item or make a special price change, you might want to consider looking at other options. 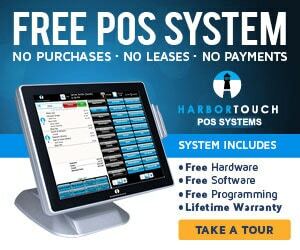 The Harbortouch Bar & Restaurant POS system is one such system that has dynamic and flexible pricing options to quickly create coupons, happy hours, manual comps, and automatic discounts. Your order management software should be easy for users and management to use. Your restaurant staff should be able to transfer tickets quickly, split checks, change tables, change item quantities, change item prices, repeat drinks or menu items, manage tables, keep track of reservations, and adjust gratuity or taxes. As an example for owners and managers, you need to be able to control refunds, voids, comps, and view order status at any given time to keep a pulse on the business. For a bar, you need to be able to open and start tabs with a credit card that performs a preauthorization. Preauthorization is a predefined amount placed on a credit card until the bartender or server closes out the check. A tab pre-auth protects your business by validating the credit card and confirming there is enough money to pay for the ticket. Table management and accepting online reservations are great options to consider as well. A good example would be Eat App which offers ‘Grid View,’ a significantly faster method of inputting and editing table reservations as compared to other providers. These are features that can complement your software package, make you more efficient, and increase revenue. The best way to know if what the order management interface is going to look like and what options are available is to get a live or online demo of the software. So be sure to spend the time to make sure the interface is intuitive and straightforward to use for you and your staff. If you plan on being a cash-only business, you might want to think again. According to this TSYS consumer payment study, for dine-in restaurants, 68% of the respondents chose to use a credit or debit card, while only 18% of respondents prefer cash. So by not accepting debit and credit cards, you’re missing out on a lot of opportunities to increase your revenue. So to this point, you obviously need to accept credit card payments, and you’ll want to have credit card processing integrated into your restaurant management software. Due to POS system PCI compliance standards, if you are accepting credit card payments, you also need to accept EMV (smart credit cards) to protect your customer’s data and to protect your business from chargebacks. So you want to make sure your restaurant POS system is EMV ready and PCI compliant. An important consideration with credit card integration is what processing company you’re going to use. Some POS companies are the processor, which can help you out a great deal. If your point of sale is with one company and your processing is with another, you can anticipate making multiple calls when dealing with processing issues. Some mobile or tablet systems come with cheap card readers that plug into the data port or headphone jack. Avoid these like the plague unless you enjoy unreliable card processing. Harbortouch is a complete touchscreen solution with reliable integrated card processing and only one support number to cover all your POS and processing needs. Why accept restaurant gift cards? You might not think accepting gift cards is an important feature, but you’d be wrong. Some restaurant owners and managers never fully realize the potential to increase sales and to generate repeat business by offering gift cards. Here are a few advantages. Did you know when a customer has a gift card, they will typically visit more than one time to use the card balance? The more a customer visits equals more upselling opportunities. Give your loyal customers gift cards that are pre-paid instead of a coupon because two thirds of customers will spend over 35% more than a gift’s cards balance. And let’s be honest, gift cards are way more convenient and more cost effective than running a coupon promotion or marketing campaign. And probably the biggest advantage is improving your cash flow by generating revenue before sales. Some gift cards don’t ever get redeemed and that’s good and bad. You want the gift card holder to visit your business, but if they don’t, that’s money in your pocket. However, having the money upfront keeps you in the black until the card is redeemed. Every new Harbortouch customer gets 50 free gift cards. Inventory control is a must-have feature for any restaurant business software. Most bar or restaurant POS software has options to deduct items from your inventory when you sell a product after they are programmed to do so, of course. So for instance, if you sell a steak dinner, your POS should be configured to subtract the steak from the inventory. And if you want to get granular, you could even deduct the sides from the steak dinner by proportions, like reducing 5oz of mashed potatoes from one serving. It’s important to know the amount of food you have on hand and to set a par level, so you know when to order more product from your vendor. Inventory is necessary because you want to understand your profit margins entirely and that starts by following your food usage and costs. It should be noted not all systems are going to have inventory controls built in and may require 3rd party integrations. Adding 3rd party integrations may add to your costs. So do your due diligence here to make sure you get what you need for inventory management. Harbortouch has incredible inventory control and also includes fresh sheets, and now we are integrated with Orca inventory management where you can monitor your inventory in real time with low-level notifications. No actual point of sale system is complete without employee management features. You’ll want this option fully integrated, or some systems may use a 3rd party integration program to expand your options. But primarily you need the ability for employees to clock in and out so you can track hours worked and to monitor staff productivity. Most systems, including Harbortouch, can set different user permissions and access levels to keep your system secure. So it’s important to know what options are required by your establishment and what features are available in the program. For instance, owners or managers should have the ability to access employee records to adjust details about employees like their pin codes, track and adjust their hours worked, calculate employee overtime, monitor sales performance, and set security levels to protect the system. Harbortouch has all these features and more including a time clock with shift and time break options so you can easily track all details for payroll. Tracking your standard sales data is great for beginners, but real restaurant professionals need and want comprehensive reporting data. Restaurant owners need to be able to filter their sales and customer data to help grow their business. For instance, you may want to filter sales by brand, product type, season, time of year or other trends your business has not yet identified. Having the ability to filter your reporting data is massively important, and not all systems have this ability. Power in data and numbers allows owners to gain more control over the productivity of staff, food costs, as well as picking the perfect time for marketing promotions or offering discounts. Additionally, it’s vital to understand if specific products aren’t selling well, so you have the knowledge to discontinue or phase them out. Included in your reporting should be data retrieved from your customer database. If you can identify who your most loyal customers are, the products they buy the most, and their purchasing frequency, this can assist when considering loyalty programs or offering product specials. Combining all this data will ultimately allow you to grow your business, make smart marketing decisions, keep your customers coming back for more and give you a leg up on your competition. Harbortouch offers all this data remotely with Lighthouse, in the cloud, so you always have everything you need online to make smart decisions. If you’re opening a new restaurant or even if your an existing establishment, marketing is a requirement these days. You can hire the best chef in the world, but if you have no one come to try his food, then what’s the point? Some restaurant management software will have built-in marketing tools like a loyalty program to help drive repeat business and increase the customer base, but it’s not enough. The reality is, there are so many marketing companies out there that specialize and do this better with 3rd party integration, usually at additional costs. For instance, Harbortouch works with a marketing platform called FiveStars. FiveStars combines rewards, automated promotions, acquisition and loyalty in one powerful marketing program. Having this sort of all-in-one marketing platform that integrates into your POS is very powerful. No matter what system you end up getting, make sure you budget for marketing tools and find out what works together. Last but not least, you going to need the best possible technical support you can find. The hurt is real when your system is down on a busy Friday night, and you can’t get a human on the phone to help troubleshoot your problem. No matter what system you end up choosing, to protect your investment and sanity, be sure to ONLY work with a company that offers 24/7 support. You might want to work with a local company near you, and that’s great, but determine the support expectations BEFORE you purchase any POS software or hardware. Most of the major players offer 24/7 support with a paid subscription, so just be sure to ask. A tip learned from someone in the industry is to call the tech support line first before buying the product you’re considering. You’ll get a good feeling of the level of responsiveness and expertise by having a quick conversation. If it takes 30 minutes to get someone on the support line and if they’re rude, you might want to consider another provider. In this post, we defined the benefits of using a restaurant management system and outlined the top 10 restaurant management software features you should be considering in your research. 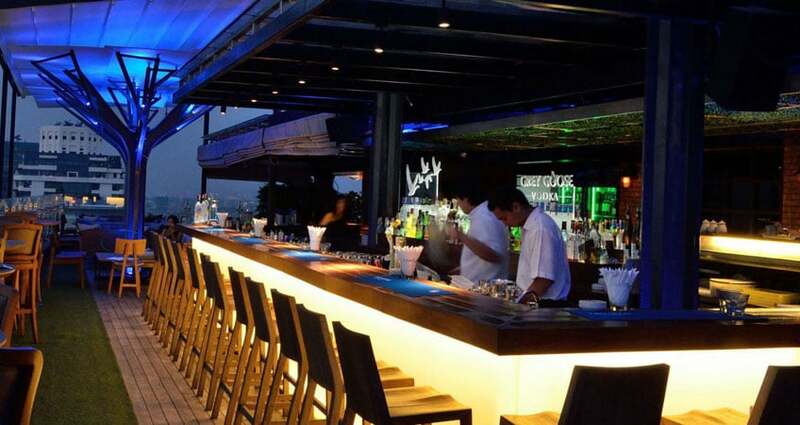 Lucky for you Harbortouch Bar & Restaurant has all these features you need right out of the box. So when you’re ready, and the spirit moves you, contact us for a free consultation. Want To Learn More About Harbortouch? If you’re looking or considering purchasing a new POS solution, we can help you. We have thousands of satisfied customers and would love the opportunity to show you what our system can do to help your business.